There are many occasions when we, the webmasters, need to know the Page Rank of various websites on the web. But almost every website that gives the page rank asks for word verification (CAPTCHA). Entering CAPTCHA every-time is not an easy job. So here I list some of the Chrome extensions that will allow you to know the Page Rank and some more information about the website you are on without entering the word verification and at a faster speed. Number of pages indexed in various search engines databases like Google, Baidu, Bing, Yahoo, etc. 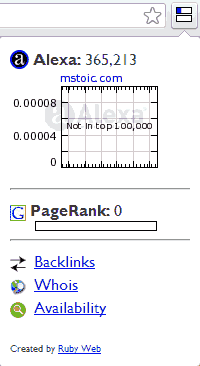 Number of Backlinks indexed by Google, Alexa, Bing, etc. 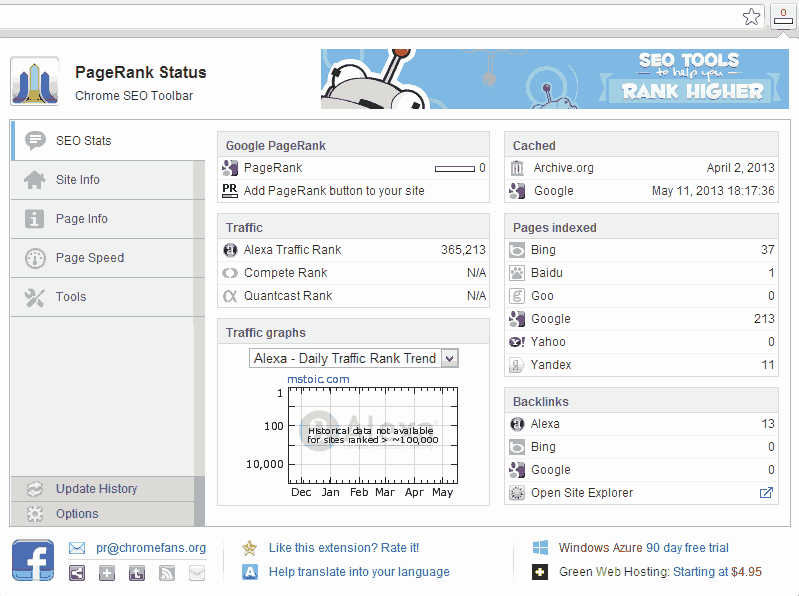 Not only the once listed, there are many other extension that lets you know page rank on Chrome for different websites. 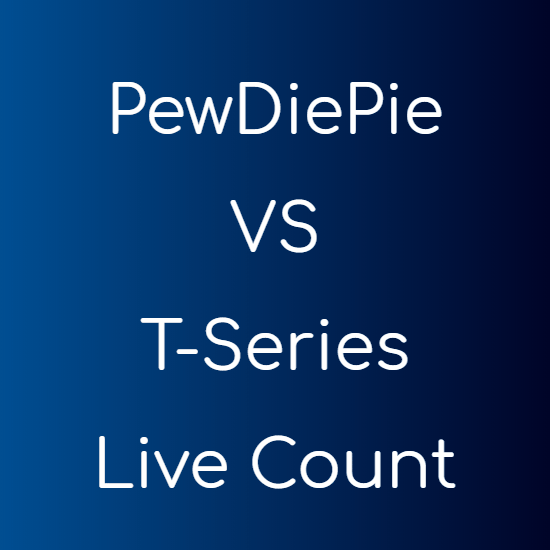 They were the few that I use. Some of these are very fast and some give more information. Based on your requirements you can choose accordingly.